Two hikers who were reported missing over the weekend in Southern California's San Gabriel Mountains were found alive Wednesday, family of one of the missing hikers told NBC4. 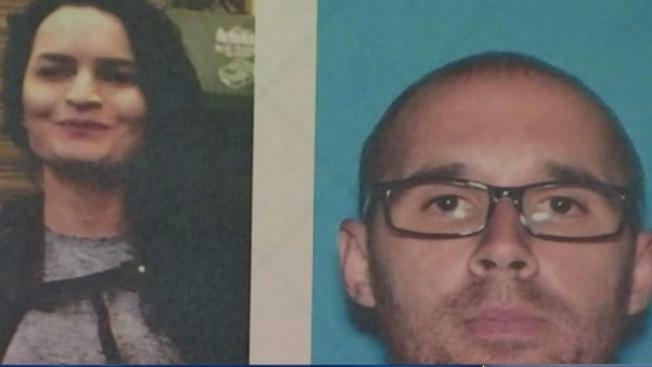 Gabrielle Wallace, 31, of Rancho Cucamonga and Eric Desplinter, 33, of Chino Hills were last seen in the Mount Baldy area around 10 a.m. Saturday and believed to be heading toward the 8,862-foot Cucamonga Peak. A search team found two sets of footprints in Cucamonga Canyon, south of Mount Baldy, and followed them. A helicopter sent to the area spotted two people near a campfire, according to a statement from the San Bernardino County Sheriff's Department. Once located, the hikers were to be flown to the Mount Baldy fire station to be reunited with their families. "We just can't wait to see them and hug them and hold them," Karen Ziebarth, mother of one of the hikers, told NBC4. "We brought blankets in the car and we just want to huddle them up because this is the first night that they won't have to be cold." Desplinter's family was confident the couple would survive because Desplinter is a formal National Guardsman who served in Afghanistan and described as an experienced hiker. The two were also carrying proper equipment for the icy conditions. Search-and-rescue teams from San Bernardino, Los Angeles, Riverside, San Diego and Kern County volunteered to help comb some 30 square miles (77.7 square kilometers) of the mountains for four days straight looking for the hikers. "We can't put into words what I feel," Ziebarth said, "I keep looking at this workers and I keep saying, 'Thank you, thank you,' and it's just words that come out of your mouth because I can't say anything for the amount of work they put in earlier." Desplinter said they got lost on the trail and "had a little bit of a slip" going to Cucamonga Peak. "We decided we wouldn't go back up through the ice and snow, and decided to go through a valley but it was a lot more treacherous than we thought." He explained the couple survived the four days by rationing their food, drinking water through a LifeStraw filter and staying as warm as possible. Desplinter also thanked all the volunteers that helped look for them. "We're very grateful to be found tonight," he said, "I'm ready to go to bed and get some rest."